January 31st starts the Chinese Year of the Horse. 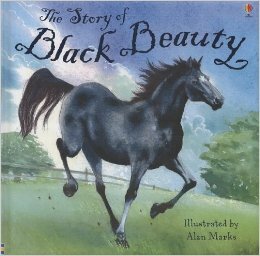 In honor of that…and because I’ve always loved horses, I offer a picture book version of one of the most beloved of all horse stories. 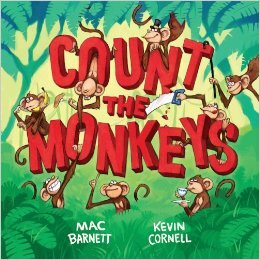 Counting books are always fun – and Mac Barnett and Kevin Cornell make a great author/illustrator team. I’m thinking this was already done recently for PPBF, but it’s not on the resource list, so I’m adding it just in case. Luckily, I found a book that applies to ALL THREE. 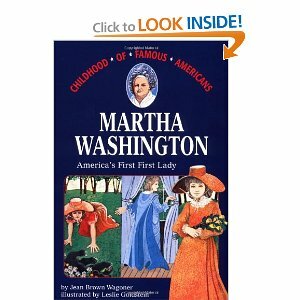 This story gives us a picture of the childhood of Martha Washington, America’s original First Lady. It also gives us a picture of life in the early 18th Century…Martha’s family were wealthy colonists in the New World. This is a chapter book from the 1980’s. 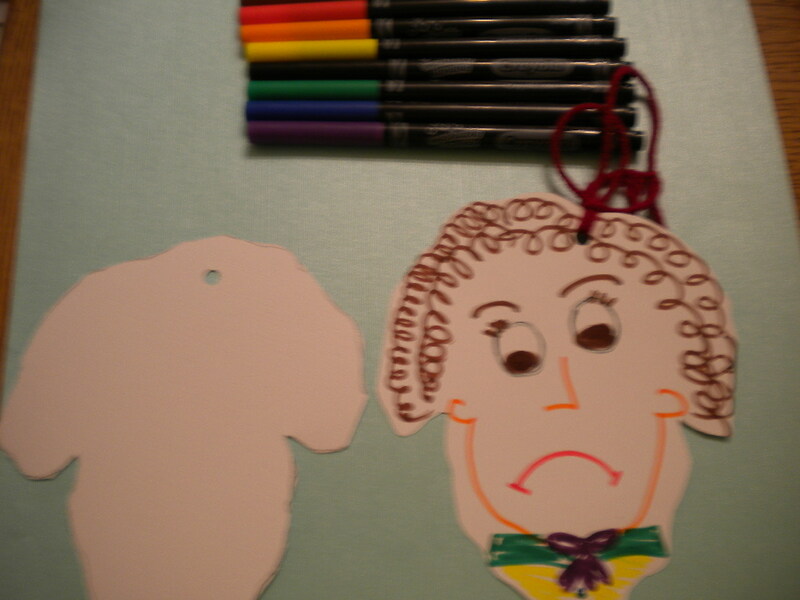 Kids learn about the men who have been president of this country…but not much is taught about their wives. This book gives a wonderful picture of the strong young girl who grew up to be First Lady. Martha Washington was a gracious hostess and, although she objected to the rigid life as wife of the president, she had been raised to fulfill her responsibilities and she stood by his side. She stayed with her husband during the harsh winter at Valley Forge and was credited with keeping up the soldier’s spirits. The line drawings depict the life of a wealthy family in the colonies…Indian scouts interrupt dinner to relay reports and black slaves keep the plantation running smoothly. We need to encourage girls to dream and set goals…whichever ones they wish. These days, girls can set their sights on any job in any sector…they can even think about living in the White House…not as a First Lady, but as the President. The book can also be used to compare life now and then…parent and child can make a list of how things were done then and note how things are different these days. What a simple recipe…kids will love to help prepare these yummy cookies! 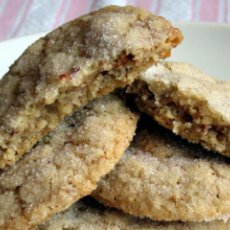 You will need: 2 eggs whites, 1 cup pecan halves, 1½ tsp vanilla extract, 2/3 cup packed brown sugar, ½ tsp salt, electric mixer, greased cookie sheet. Beat egg whites and salt until foamy; gradually add brown sugar and vanilla. Continue beating until stiff peaks are formed. Fold in pecan halves. Drop by teaspoon onto greased cookie sheet. Bake for 1 hour. Valuing one’s own (and others) strengths and qualities, bullying and teasing, getting along, diversity. The beautiful autumn day begins with high hopes on the part of the three friends. They want to make the biggest mountain of leaves ever seen. Unfortunately, they begin to make fun of each other and everyone is feeling sad and mad until Roo’s mother comes out and suggests that instead of making fun of what each of them cannot do well, they should appreciate what each of them can do well. This book appeals to young children…the clear, colorful engaging illustrations support the text that relays a common problem that parents and teachers see all the time. Children can be very cruel to each other and this is a story that helps them see a positive alternative to teasing and bullying. In Show Me How, I pinpoint the six major components of self-esteem…one of them is to be able to value one’s own strengths and qualities while respecting those of others. 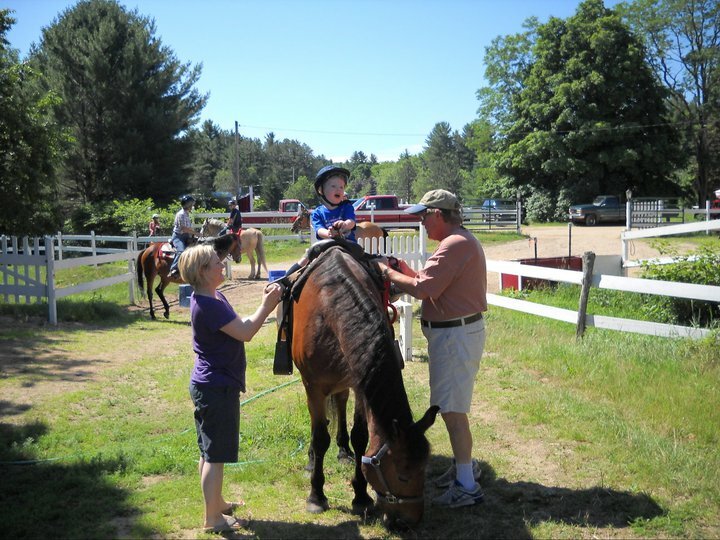 This is what the three animal friends learn to do. The book also provides a lesson in diversity…the leaves are different colors and shapes and sizes…and they are all beautiful leaves. In the same way, people are all different colors and shapes and sizes…and they are all beautiful people, valuable in their own unique ways. I’ve read this book with kindergarten and Pre-K classes, as well as at library programs with children ages 2 – 7. 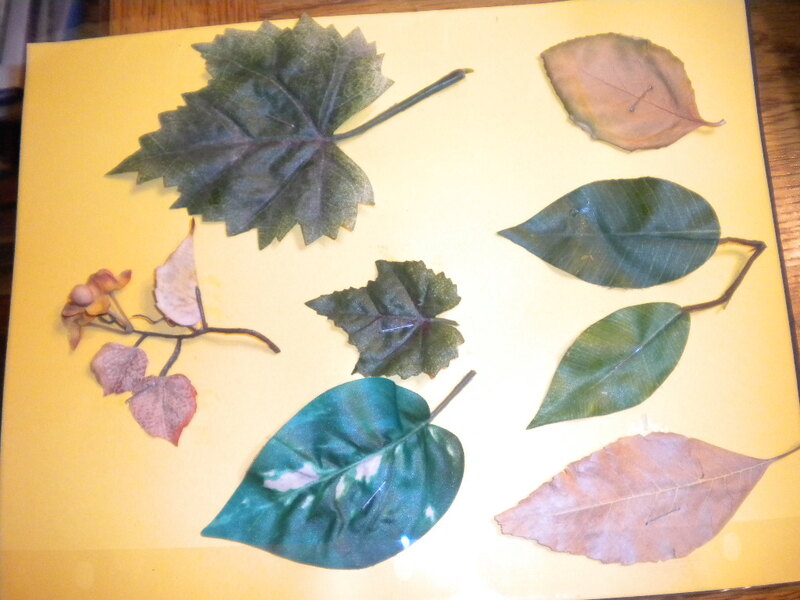 After the story, we talk about leaves and I show them a collage with leaves of different sizes, shapes and colors. A nature walk can be taken before this project and the children can collect some leaves and then make their own leaf collage by gluing the leaves on a piece of construction paper. We talk about how it feels when someone teases us. Every child can relate to that…hands go up to tell me about a time when someone was mean to them. I ask them how their face looks when someone makes them feel sad. I look at a sea of frowning faces. Then I ask them how they feel when someone tells them they did a great job. Every frown becomes a beaming smile. I show them the leaf pattern frowning face and ask how the leaf person is feeling. Then I flip it over and ask the same question. 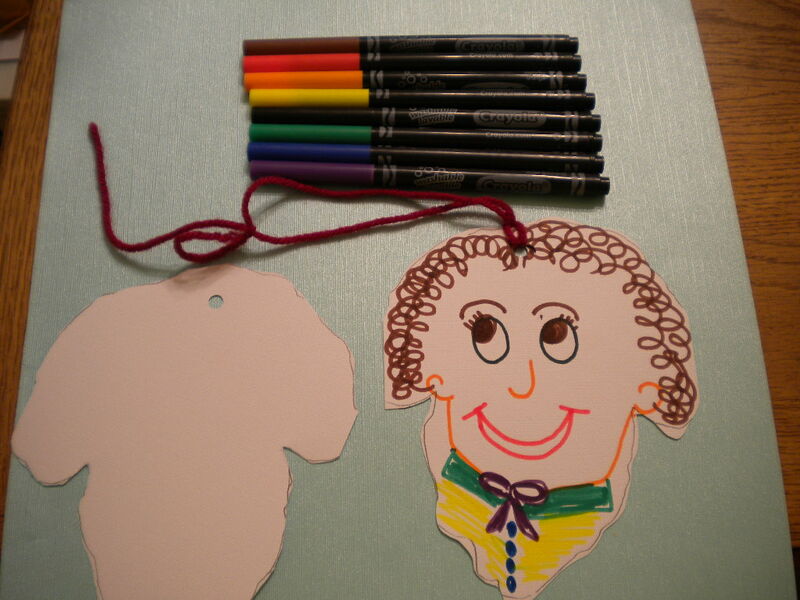 Each child get a blank piece of heavyweight construction paper in the shape of a leaf, and using markers or crayons, they make one side happy or glad and the other side sad or mad. We punch a hole in the top and put a piece of yarn through it so they can hang it on their bedroom doorknob…turning to the happy or sad face depending on how they are feeling. This is a great opportunity for parents or an older sibling to talk to a young child about how they are feeling…if they see the sad/mad face hanging on the door, this is a signal that there may be a problem. 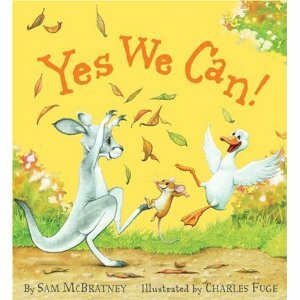 Have you joined the 2012 Positive Parental Participation Challenge to read every day to your child?